Your business doesn’t need a slogan – here’s why. Slogans are often regarded as a fundamental component of a corporate identity – an assumed marketing requirement as essential as a logo and a website. But does your business really need a slogan? Does your business need a single snappy line to encapsulate everything you do? I suggest that, unless you are a major corporation or engaging in a national advertising campaign, you don’t need a slogan. Modern businesses that do most of their marketing online are better off investing in social media, great design, informative content – just about anything other than a clever phrase that is likely to baffle, bewilder and bemuse more than it attracts, persuades or sells. 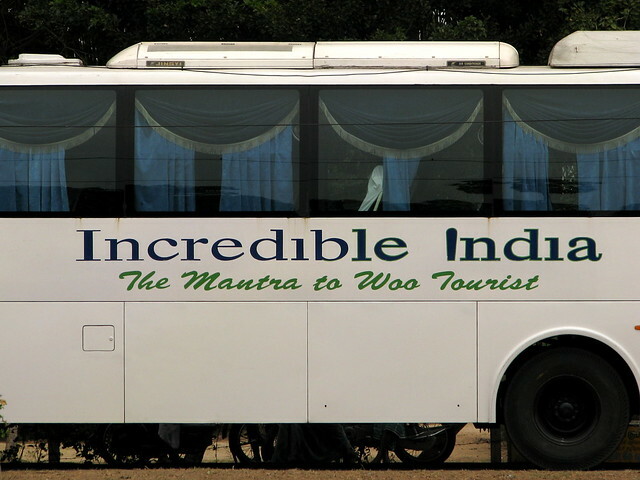 Evocative and inspiring slogans are wonderful things in the right context. If you’re advertising on TV, print or billboards (for example) it’s useful to capture the essence of your brand in a few memorable words that burrow into the audience’s ears. The advertising helps to contextualise the slogan and lend it greater meaning. So those few memorable words manage to mean a great deal because your audience has been exposed to your brand and conditioned to feel an emotional response to your slogan. This works well when your brand is a household name, or you are running a national ad campaign. Without this contextual support your audience may not have enough background knowledge to parse the meaning of your tagline. Taglines are typically placed in the most conspicuous places. And that is usually prime real estate on websites and ads. But why fill that precious space with a weak attempt at an evocative tagline when you could communicate something tangible? Why give people riddles when you can give them answers? If most of your marketing happens online then you don’t have the same kind of audience that you might have with TV, radio and outdoor ads (where the audience may be stationery or otherwise restricted). Audiences online are not really audiences. They’re participants, and there’s nothing to stop them from clicking away to something better, something they can understand and something that leads them towards action. The world’s most famous slogans have been battered into our brains through repetition. Ads for Nike, L’Oreal, VW and Apple have a chance to soak into our souls because we’ve lounged through hundreds of hours of TV ads and had the copy hover over our heads on the tube. We’ve gazed sleepily at soft pictures in magazines and caught earworms off radio ads. Big brands have memorable, meaningful slogans because they’ve invested billions in making them meaningful. If someone gives fives seconds of their life to skim your website, consider yourself lucky. There are millions of websites that can’t even get a cursory glance from a disinterested consumer. You’ve only got a few seconds to make a great impression – so why waste those precious seconds by making someone decode your half-baked, ill-advised, quasi-cryptic, pseudo-mystical slogan which, in attempting to communicate everything, manages to communicate nothing? There is still space for clever, witty, evocative and emotionally-charged copy online. Marketers still need conceptual copy to adorn social media campaigns and to capture attention on landing pages. And slogans can still be helpful branding and marketing devices – as long as they communicate the fabric of your business as well as the fashion.